IRt/c Operating Manual and Tech Note #1 automatically compensates for the emissivity and reflectivity of the material whose temperature is being controlled, and completely accounts for these effects at the controlled temperature. However, for processes in which the control temperature set-point varies, the control device will provide higher accuracy over a wider range if its SPAN or GAIN adjustment is used to calibrate the process. 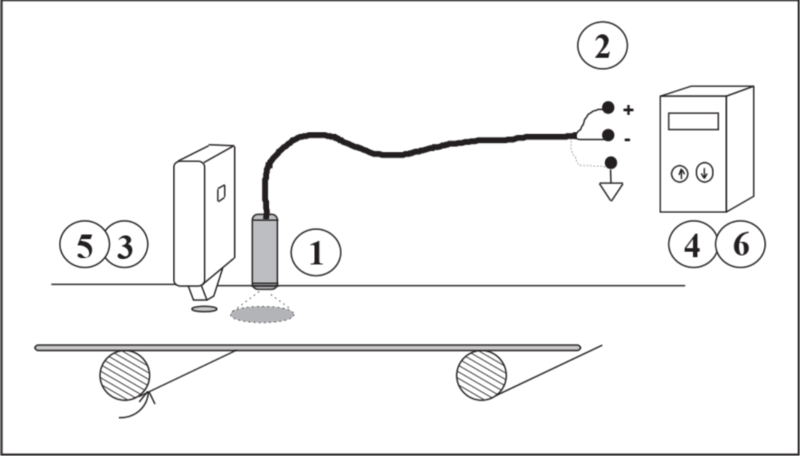 Accordingly, the calibration set-up should include a standard two point method of setting the span. 1. Install IRt/c as close as possible. 2. Wire connections in standard fashion. 3. At low operating temperature, measure actual temperature with D/DX Series. 4. Adjust OFFSET, ZERO, or LO CAL to match reading on D/DX Series. 5. At high operating temperature, measure actual temperature with D/DX Series. 6. Adjust SPAN, GAIN, or HI CAL to match reading on D/DX Series.